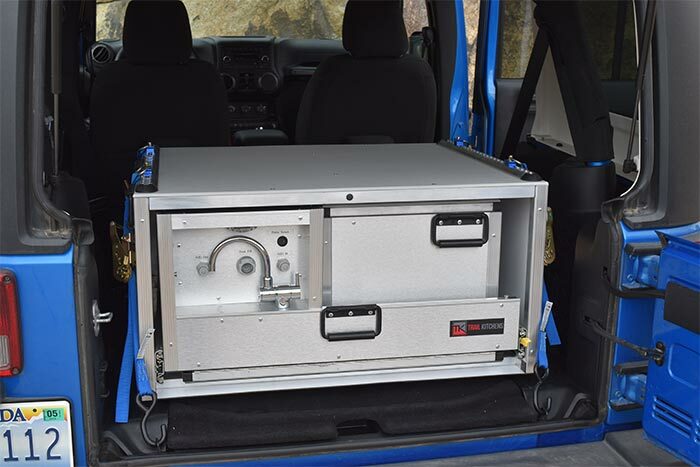 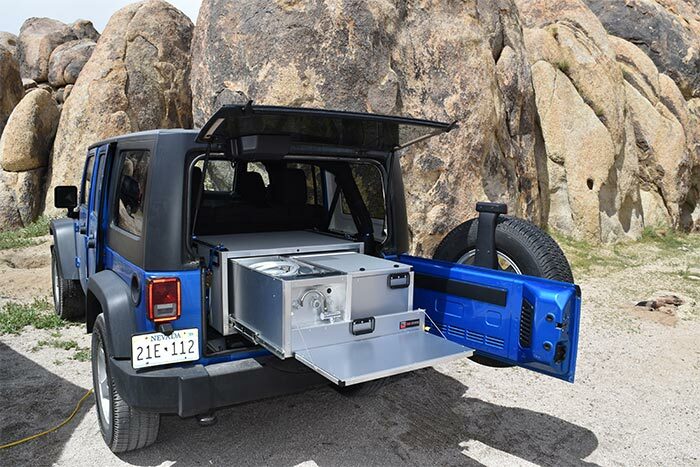 This slide-out do-it-all unit may have been designed with the four door Jeep Wrangler in mind, but it also works great with Land Cruisers, 4Runners, Land Rovers, Subaru Outbacks, the Mercedes G-Class and much more. 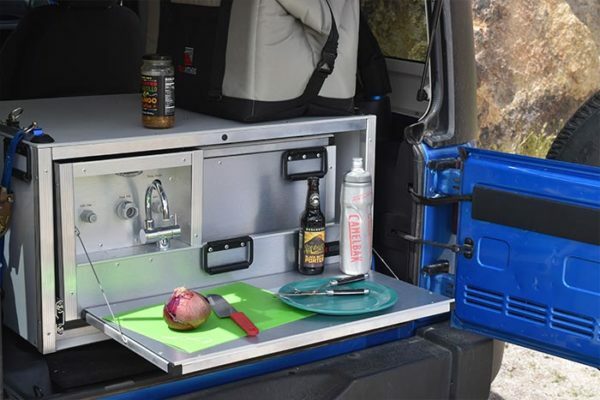 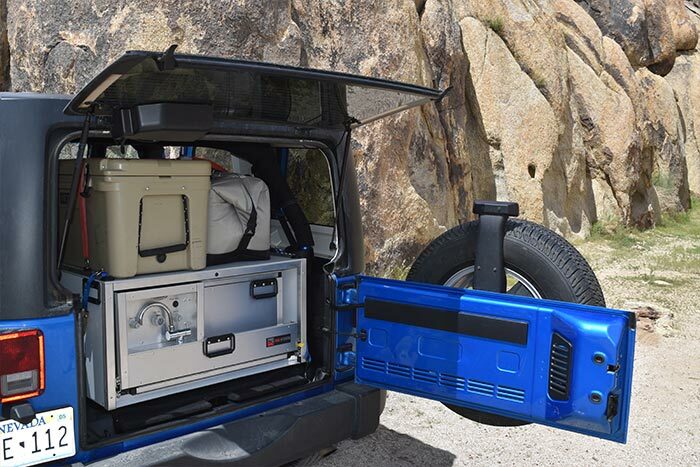 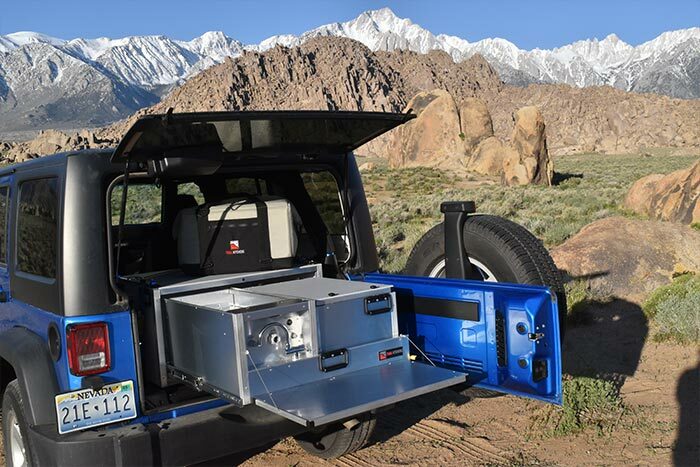 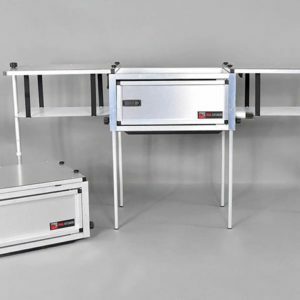 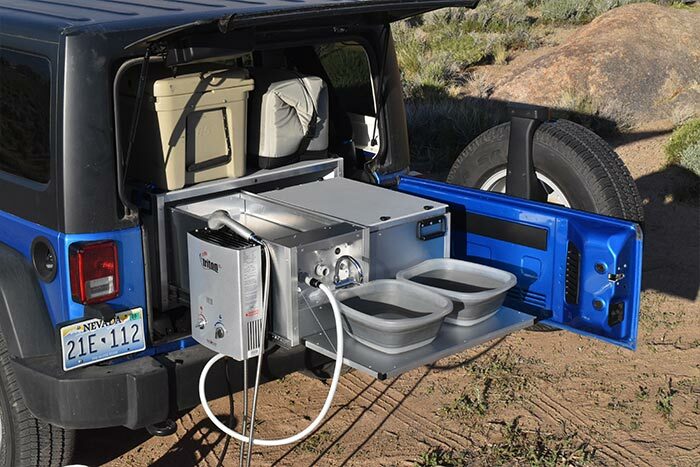 With Trail Kitchens’ Wrangler Camping system you get a removable Compact Camp Kitchen, an integrated 6-gallon water system with 12-volt pump, flip-down work surfaces, LED lighting, and an optional 36,000 BTU/hr hot water heater with shower. 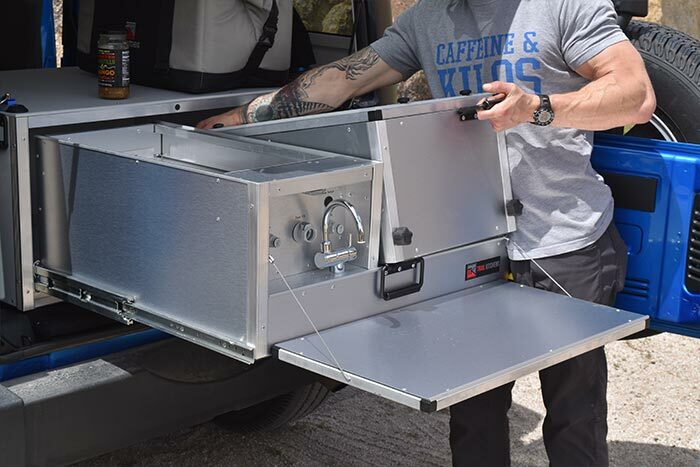 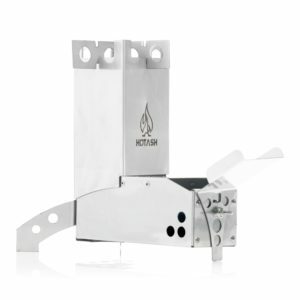 Install and uninstall this bad boy in five easy minutes with zero drilling required. 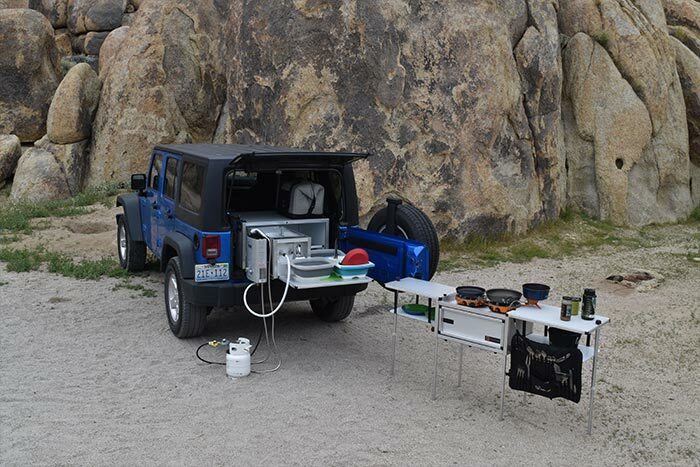 So get gassed up and head off-the-beaten-path knowing that you have all you need to make some momentous camping memories. Includes The Compact Camp Kitchen ($499 value).